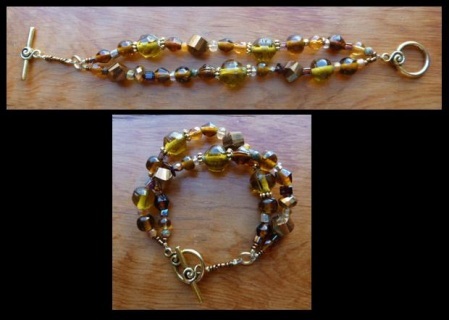 Bracelet - Two strand. Glass, crystal and stone beads. Gold plated ring, gold tone pewter spacers and toggle clasp. Length 7 & 1/2 inches.